If for whatever reason you want to set the locale in Tomcat you simply need to add two jvm arguments in the catalina.sh file found in the bin directory of the Tomcat installation. I was able to set the default locale for Tomcat to US/en on a Mac running Mac OS X Leopard with Tomcat 7.0.8 installed. These instructions should work for any *nix machine as well as later versions of Tomcat, but I can’t guarantee it. If you’re using Windows, these instructions are probably also relevant, but you would change the catalina.bat file instead. 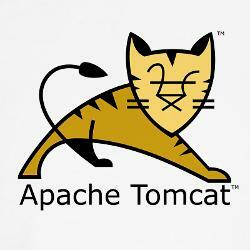 Find the file called catalina.sh in the bin folder of the Tomcat installation with any text editor. At the end of the JAVA_OPTS definitions add -Duser.language=en -Duser.region=US. You can of course chose any available locale and region settings you need and not just US/en.